Front-end Frameworks is a free collection of tools for creating websites and web applications. Which famous front-end frameworks, Bootstrap or Foundation? To quit smoking cigarettes may seem like a simple goal for some people, but as many smokers know (myself included), it’s easy enough to talk about quitting cigarettes, but actually doing so can be much more difficult. Imagine that problem on a massive scale, though: working at a research institute, and trying to keep up with constantly growing power of the behemoths known as supercomputers. Music on the job – listening what? Infographic: Music on the job – what music to listen to on the job? There are incredible photography cheat sheets for not just learning and master photographers as well. 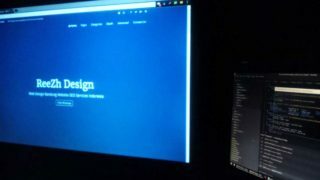 Website Redesign for Small Business, some infographic for your company to enhance web design and how to redesign. Latest Trends in Web Design 2018, some infographic that show us a good point of view for web designing in this day. This infographic takes a detailed look at everything you need to make sure that the moving offices is as swift and as stress free as possible.